Now we are back to another new week and a new newspaper. Every week Club Penguin releases a new newspaper. 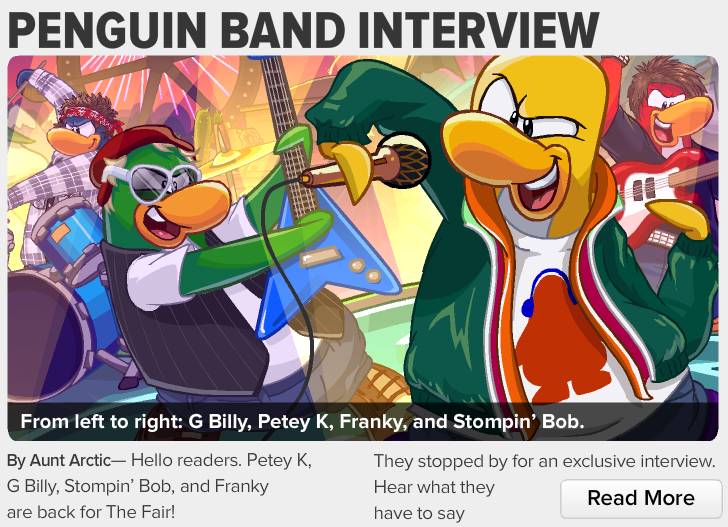 This week Aunt Arctic has an interview with Penguin Band. Also, Rockhopper sends us a letter! 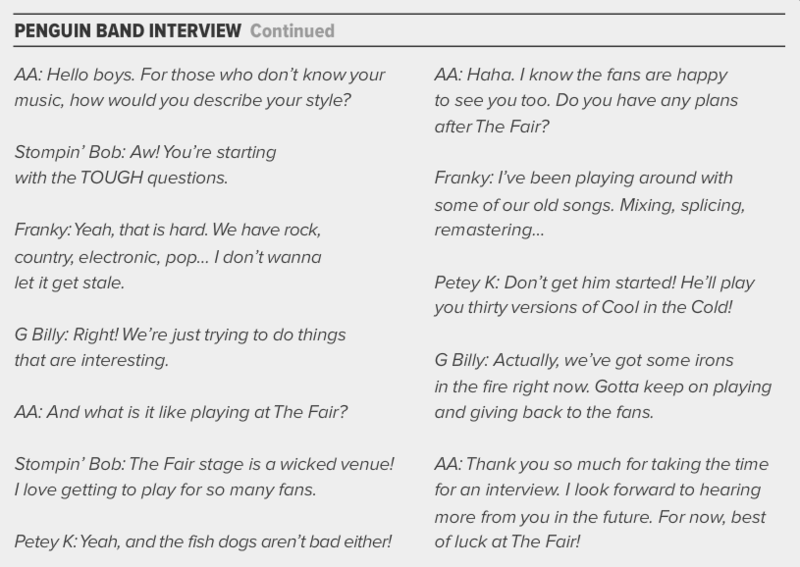 If you click read more then you will be able to read the full interview between Aunt Arctic and the Penguin Band. Read it below. Rockhopper hasn't forgotten about us. He sent us a letter telling us when he'll be back. Maybe he's going to come for the month of March? That's all of the news for today. Lastly, we have the upcoming events section of the newspaper. 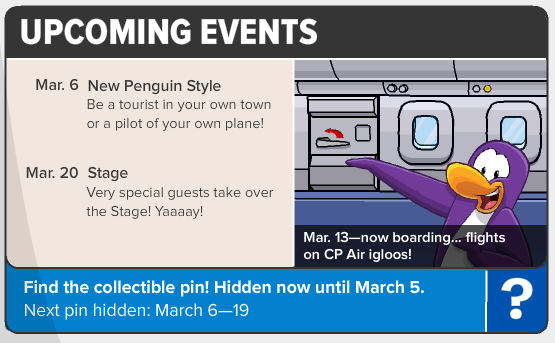 We'll be getting our new Penguin Style catalog on March 6 and a new stage will be presented on March 20.